The origins of what is now the parish church of St Michael & All Angels, South Yardley, are to be found in the early 1880’s, when St Edburgha’s, the parish church of Yardley, (at that time still part of Worcestershire), established a small wooden mission room in what was later to be known as Church Road, just below the Swan. This was replaced in 1898 by a more substantial if unprepossessing brick building, also in Church Road, but lower down, a few yards above Milton Crescent. 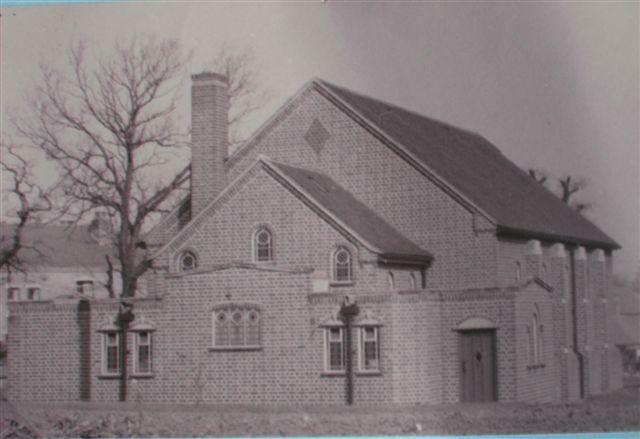 With the continuing increase in the population of South Yardley, this building was enlarged in 1909, and on 16th April 1912, being now in Birmingham, it was licensed for public worship by the Bishop of Birmingham, taking the name of St Michael’s Church Room. As South Yardley continued rapidly to develop, it was decided by St Edburgha’s that a curate should be taken on specifically to live in, and be given responsibility for, the area, and so in 1923 one of the new houses then being built in Rowlands Road (No. 43) was acquired for this purpose, being given the name of St Michael’s House. 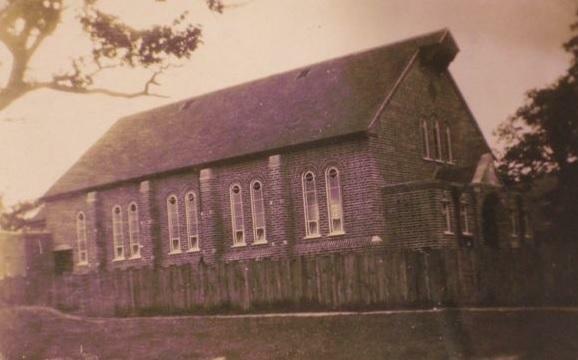 Following the gift of a plot of land in that immediate area by Thomas Rowbotham, a new hall was enabled to be built at the junction of Yew Tree Lane and Rowlands Road, and on 15th March 1930 St Michael’s Church Hall was formally licensed and opened. 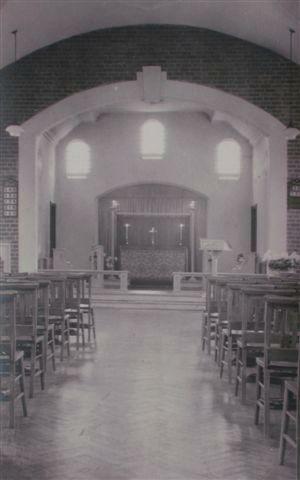 The old church room in Church Road was retained and continued to be used as a parish room up until 1964, when following the expiry of the lease, it was demolished. In 1948 St Michael’s finally achieved its independence from St Edburgha’s when the conventional district of South Yardley was created, with a priest-in-charge. In 1956 this status was upgraded to that of a statutory district, (a parish in all but name), with a vicar. The only impediment then to full ‘parish’ status was the lack of what was perceived to be an appropriate church building, but ten years later this matter was rectified when on 7th May 1966 the bishop of Birmingham consecrated what is now the parish church of St Michael & All Angels, South Yardley. This new building incorporated a new vicarage linked to the church and was connected to the old building, to be used in future as a hall, via a long narthex. Given the restricted amount of the funds put at their disposal the architects produced what was a remarkably fine building, but unfortunately, one with a flat roof. Over the course of the ensuing years, following constant problems with leakage, it became evident that this feature of the building would eventually require what would be expensive refurbishment. This finally came about in 1999 when a new angled roof was erected over the church, together with a false ceiling and new clerestory windows at the east end. The refurbished church was re-hallowed by the bishop of Birmingham on 7th May 1999. In 2008 St Michael’s became part of the newly formed Swan Group of churches, together with St Mary’s Acocks Green and St Cyprian’s Hay Mills.